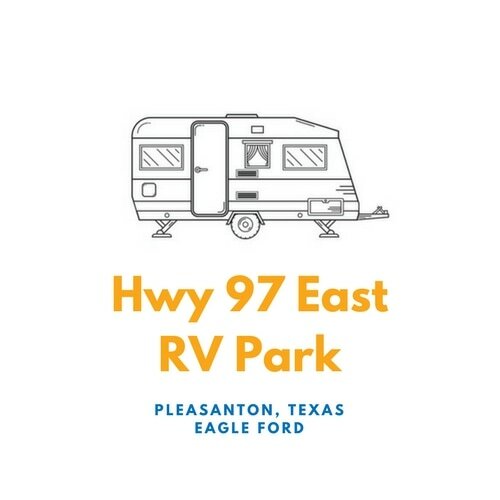 Located in the heart of the Eagle Ford Shale oilfield activity in Pleasanton, Texas, Highway 97 East RV Park is one of the premier spaces to park your RV. As part of Atascosa County, Pleasanton is booming with new businesses and visitors from all over the country. 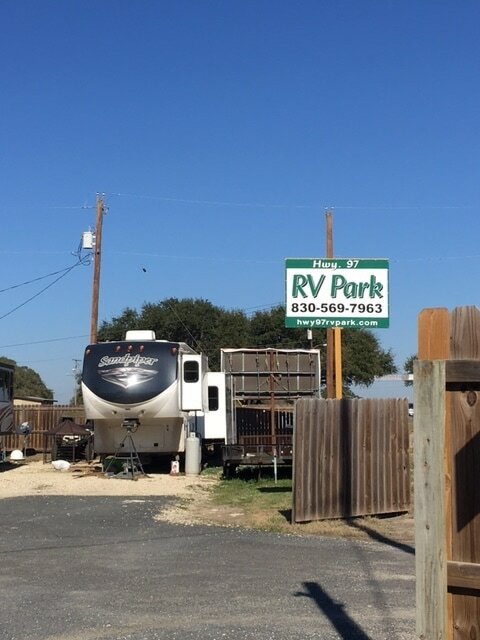 Our RV Park is located on Highway 97 East and is just 5 minutes from H-E-B Grocery store, 10 minutes from Wal-Mart and is surrounded by many local restaurants. There are many choices of places to eat in our area. Dairy Queen, Church's Fried Chicken, Bill Millers BBQ, Sonic Drive-In, Subway, McDonald's, Burger King, Whataburger, Chili's Bar & Grill are all located on Highway 97 in Pleasanton. That's not to mention the many local Mexican restaurants and country lunch cafes located all over town. The local Kadobe's Bar & Grill is a favorite hangout on the weekends with live music, fresh food, and cold drinks! 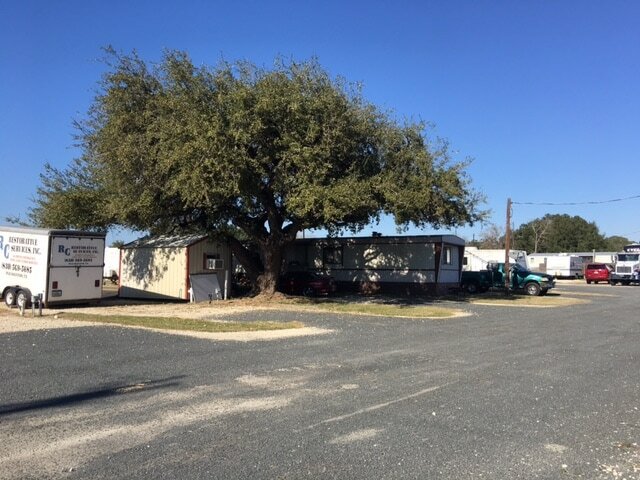 The Atascosa County area also offers a few clothing and oilfield supply stores located in Pleasanton and Jourdanton. Pleasanton also offers a state-of-the-art gym and training facility located also on Hwy 97. Pleasanton Athletic Center is the premier gym and training facility in Atascosa County and offers group classes by certified instructors and state-of-the-art gym equipment so you can keep up with your workout when you're away from home or when you have downtime from work. 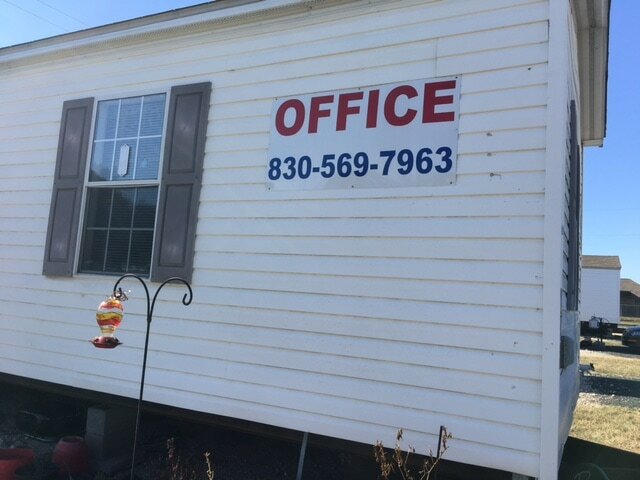 There is, of course, a local Post Office and UPS Store for your mail and shipping needs. Pleasanton and Jourdanton both offer beautiful city parks with basketball courts, playground equipment, and paved walking and biking trails. Public swimming pools are open during the summer beginning in May for both locations. Atascosa County also boasts some of the best hunting ranches around the State of Texas. 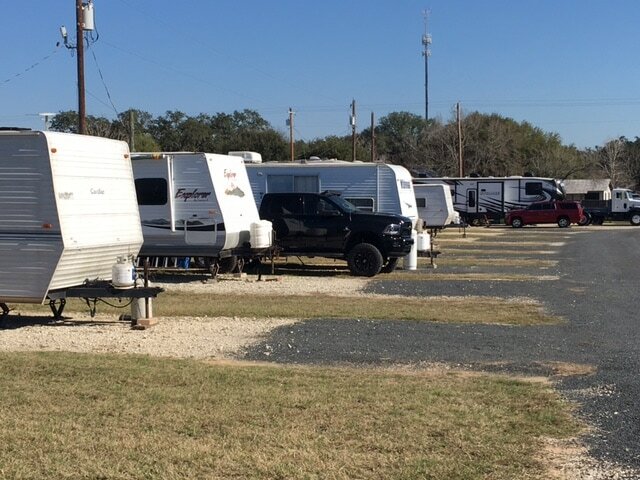 If you are visiting our RV Park to hunt or fish in the area, you are joining one of the best loved sports in South Texas. Whitetail and Trophy Deer, Wild Hogs, Turkey, Dove & Quail are just some of the game we love to hunt here. Fishing for catfish, largemouth bass, rainbow trout, and striped bass is available at more than 100 locations in Atascosa County including Brown Lake and Bonita Creek. Atascosa County is also home to the world famous Poteet Strawberry Festival held each year in April. 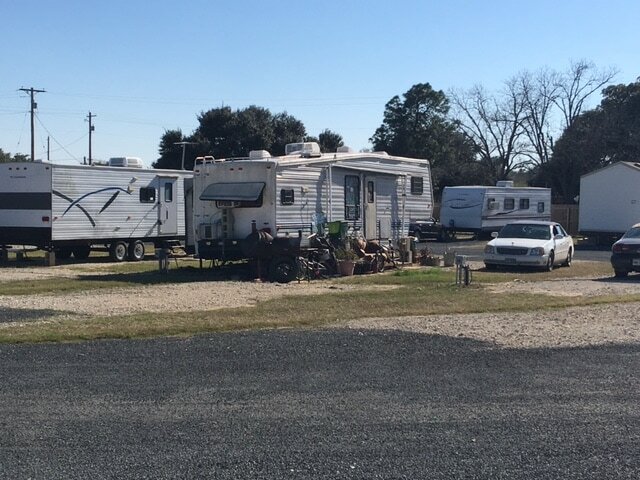 Poteet is just a short 10 minute drive from Highway 97 RV Park and is the Strawberry Capitol of Texas. Each year the Strawberry Festival sees over a million visitors from all over the country. Shows, attractions, a big Texas-sized carnival, crafts and shopping, concerts by some of country music's hottest stars as well as Tejano music stars, and the best food around are just some of the reasons that make the Poteet Strawberry Festival so famous. The festival continues to break records every year and we are proud to have this as a huge part of our Atascosa County tradition! 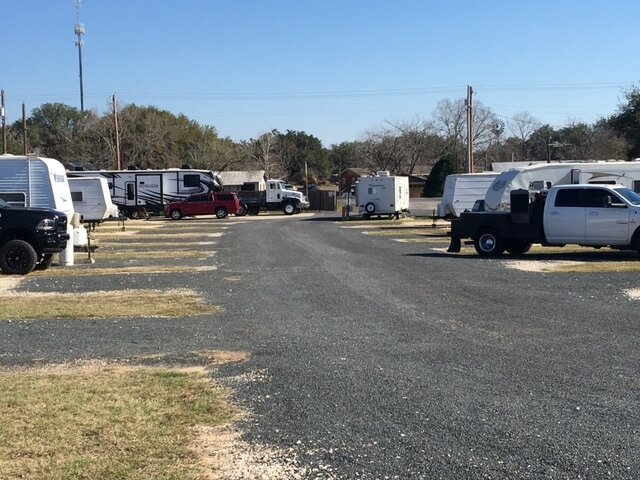 There is so much to do and see as you visit Pleasanton and Atascosa County, we hope you enjoy your stay!